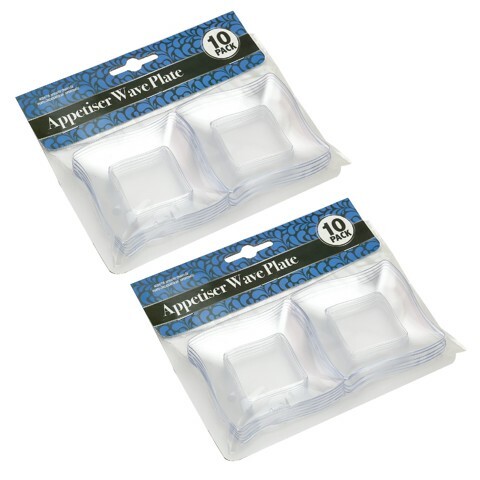 Appetiser Plate Wave Mini 10Pk. 7.8 x 7.8 x 1cm. Clear. PS. 80g Packaging: OPP Bag with Fold Over Header and Backing Card.